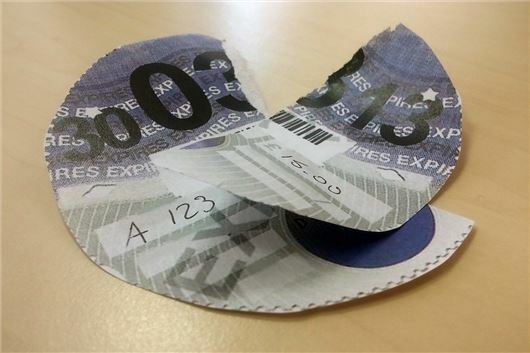 From 1 April 2017, all new cars will be taxed against three new VED bands - zero, standard and premium - with taxation calculated on a combination of emissions and the list price of the vehicle. Do you honestly believe they will spend this on improving the roads? I don't think they will even spend 50% of it. - Despite their promises. Why is this all calculated on Co2 levels? i can only presume that it was because of the now disproven theory that Co2 is a pollutant. The Global Warming theory people have got a lot to answer for, without Co2 we would all die, very quickly, many scientists say that due to our misguided actions the planet is actually suffering with a shortage of Co2 , being as all greenstuff (trees,plants etc) need it to convert to oxygen. DVLA should be PAYING US for providing the Co2 needed to keep the planet flourishing. This is a fraudelent system, run by a fraudulent DVLA . (buy tax on the 28th and forfeit the previous 4 weeks scam) how much longer can these people hold out robbing us ... this has to end.. When exactly DID CO2 be proven as NOT being a 'pollutant'? The more sensational right-wing media are in my view just as bad as the left ones for putting out stories (and not facts) to suit their own politicial opinions. Your comments sound like they are from someone who perhaps needs to read up on the (proper) science and not just some hack's/politician's opinion dressed up as facts. VED or Road Road Fund tax (call it what you will) should be payable according to usage. The roads are a utility. The more you use them, the more you should pay, like your gas or electricity and water etc. The crazy, unfair, illogical and frankly scurrilous system we have have at the moment where you pay the tax in advance based on the assumption of how much your vehicle may pollute the atmosphere, is mad. As things stand, take two identical vehicles,one does 5000 miles a year, the other does 10,000 but the owners pay the same tax. The second pollutes twice as much as the first, so logically should pay twice as much tax. Also hybrids and electric cars cause as much wear and tear to the roads and take up just as much space as petrol or diesel cars and yet get away with contributing nothing. Congestion is congestion; the means of propulsion is irrelevant. Car tax (VED) should be attached to fuel for many obvious reasons. The only point against it is that the small car low mileage motorist would not then be able to subsidise the high mileage and/or gas guzzling motorists. As a small car low mileage user I could live with that. How unfair the whole system will be...two different Levels. Existing cars to stay the same and then a whole new list, for new cars. My own car comes in the 130/150g/km and will stay on the same on the Old system and will be £185. Yet on the New system, it would only be £140. As always the Government screwing the people so they can waste the money. Like HS2! Let's just say that CO2 is responsible for global warming, which I do not believe. The whole point of these taxes should be to reduce pollution and congestion. They are set at a level where they will not do that and just bring in money. THAT is the scam. It is truly amazing how so many people fail to associate tax with public services that is to say running a country.. These people want every public service available, do not accept public service cuts but still believe that taxes should be decreased. Dumb I call it! Totally agree with Martin Davies, put the tax on fuel, end of story, I worked for the RAC as a patrolman mechanic back in 1965-68 and they asked or tried to get the government of the time to do just that, it would have amounted to 1 penny a gallon back then but there would have been less fiddling as everybody would have had to buy fuel, but back to the present scrap the road tax put it on the fuel that way if you want and can afford a 5ltr car you will pay your way , and the drivers who only drive 20 miles a week will be better off why should they pay the same as someone who drives 1000 miles a week ? that's my gripe over and the only sensible way forward to reduce pollution and fair way. is £4000. My car is now valued at £250 and the new tax is £280 for 186g/km of CO2. The car tax for a car after 1st April 2017 with 186g/km of CO2 is £140. We are being lied to again about the Government's concerns for pollution. are not the ones I sympathise with. Anthony Bowers liked your comment and it made a great deal of sense but all governments just seem to be paranoid about charging Road Tax. I would like to know how many drivers do not pay it now they have abolished the windscreen tax disc I for one would like to go back to the disc. How will personal imports be taxed? Date of first registration , or date of first registration in the UK. Put the tax on fuel. The only fair way and everyone pays.